Talons receives National Lottery Community funding. 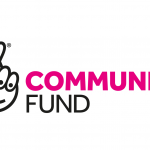 Talons Owltimate Encounters CIC is delighted to announce that we have been awarded a grant from The National Lottery Community Fund to help towards the funding of improvements desperately needed for some of the animal’s enclosures, and ongoing costs. We are so grateful for this help as it is a continual struggle to ‘make ends meet’, especially when you are involved with animals and all their various demands and needs. This will take the pressure off us in the short term which is hugely appreciated.